Few places beat a solid neighborhood pub: an inviting, no-frills spot with great food and a handful of boozy options. So it’s surprising that izakayas -- Japan’s answer to the US’s ubiquitous Irish pubs -- haven’t taken off here like they have on the coasts, since Chicagoans love drinking food almost as much as drinking. It could be that izakayas come with a slightly steeper learning curve than your average corner Irish bar -- but that also makes for a much more interesting experience. 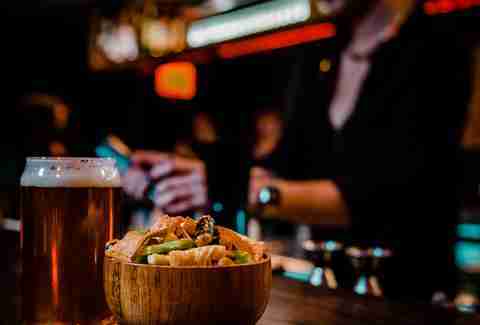 Instead of burgers and fries, cheap whiskey, and watery brews, you’ll find more adventurous small plates like iko shiokara (fermented squid), takoyaki (octopus dumplings), and korokke (potato croquettes) to go with a mix of food-friendly sakes, shochus, Japanese whiskys, and beers. Brian Mita, co-owner with his mother Helen Mita of homespun Japanese-American pub Izakaya Mita in Bucktown, isn’t surprised that izakayas haven’t caught on in Chicago as they have in LA or NYC, since so few Japanese expats settled in the city. The majority moved to the northwest suburbs, where izakayas have thrived, like the 27-year-old Izakaya Sankyu in Mount Prospect. "Most Chicago izakayas offer some variation on kara age (deep fried chicken) and okonomiyaki, an umami-rich Japanese seafood pancake that might be the world’s perfect alcohol sponge." Regardless, people shouldn’t get too hung up on navigating new or unfamiliar dishes and drinks because izakayas are above all about unwinding. “It’s really about eating and drinking. It’s a place for friends,” Mita says. Consider izakaya fare as essentially Japanese tapas: addicting, savory small plates that go well with booze. Most Chicago izakayas offer some variation on kara age (deep fried chicken) and okonomiyaki, an umami-rich Japanese seafood pancake that might be the world’s perfect alcohol sponge. Others center menus around barbecued meats and veggie skewers. Izakaya Mita’s grill uses searing hot, smokeless bincho tan coals, which render chicken skins as crackly as chicharrones and tsukune (chicken meatballs) crusty outside and juicy inside, and fatty pork belly lightly charred and smoky. More adventurous eaters can try Mita’s favorite, shishamo, broiled smelts “with bones so tiny you can eat ‘em from head to tail;” or the boldly authentic sake no tsumami trio of ika shiokara (brined squid pieces fermented in squid guts), takowasa (wasabi-marinated raw octopus) and chuka iidako (marinated boiled baby octopus). For the crowd that's not quite as versed in Japanese cuisine, Mita and Chef Toshi Motegi created some “general purpose” crowd pleasers, like ramen and yaki soba, a tempura section with everything from shrimp and onion rings to a nod to mozzarella sticks (chizu with marinara and pesto), and rice sliders -- a play on burgers and yaki onigiri (grilled rice balls) made up of rice topped with beef, fried fish, chicken, or the best-selling ebi mayo (tempura shrimp and wasabi mayo). No warm sake either, which is the second ingredient in a sake bomb besides watery beer, the uniquely American tradition some of us might remember pounding at cheap karaoke joints in college. “We’re not a sake bomb kind of place,” he says. Or you can sip one of a dozen shochus, the trendy, single-distilled cousin to lower-ABV Korean soju along with five Japanese whiskys, 15 draft and bottled beers or a rotating cocktail list showcasing Japanese flavors. Kansai-san, the pink patio pounder starring yuzu sake and hibiscus syrup makes for an ideal foil to spicy, textural ebi mayo sliders. Then Mita may sidle up to your table and ask if you like beef jerky and fish. Before you know it, you’re noshing on salty broiled kawahaki (filefish jerky) with kewpie mayo and sipping a creamy, subtly sweet Dreamy Clouds nigori sake as another hour drifts by to the rise and fall of chatter in the bar. Here are seven spots in Chicago to feel said magic. This inviting Bucktown pub channels old-school izakayas with its easy-going atmosphere featuring oak accents and Japanese bric-a-brac above the bar and a menu of East-meets-West shareable plates from Chef Toshi Motegi and Japanese drinks. Start with spicy Chinese-style cucumber (lovingly poached from Izakaya Sankyu in Mount Prospect) and meaty skewers grilled over bincho tan. Among hearty plates, don’t miss the delicate gyu tataki, with fanned slices of ponzu-dressed rare sirloin or the tonkatsu (deep-fried pork cutlet). Friendly staff will expertly guide you on a Japanese drinking tour via 15 sakes, 11 shochus, five whiskys, and 15 draft and bottled beers. Underneath the chic Japanese behemoth Momotaro is the equally posh -- if slightly less buttoned-up izakaya anchored by a U-shaped bar. There’s plenty to drink, including cocktails, sake, beer, wine, and whisky, but it’s the small menu of mostly savory shareable plates that sets this spot apart including unexpectedly killer house-made bread. 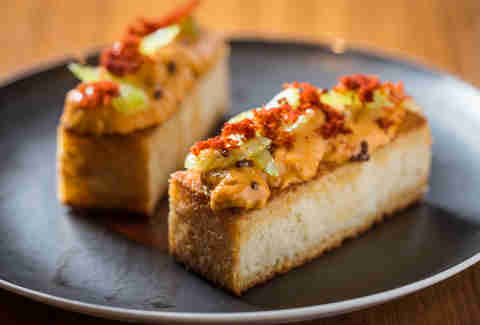 Two rectangles of elegant uni toasts are generously heaped with creamy, oceanic sea urchin heated with a bit of spicy chorizo and cooled by pickled celery. Juicy, crispy-skinned chicken thigh skewers will transport you to the streets of Tokyo, while audibly sizzling clams swim in bright, savory sake-laced broth that you’ll want to soak up with more of that buttery, springy toast. Sumi Robata leans fancier than traditional izakayas, but Chef Gene Kato’s River North spot is a can’t-miss for minimalist Japanese grilling at its best. Kato helms the glass-enclosed, 26ft robata grill where he expertly chars bites of tender wagyu ribeye, teriyaki-slicked salmon, meaty shiitakes, and even romaine. Balancing the grilled items are elegant chilled plates like cubed tofu with caviar and crispy ginger and velvety chicken liver mousse with Japanese mustard. 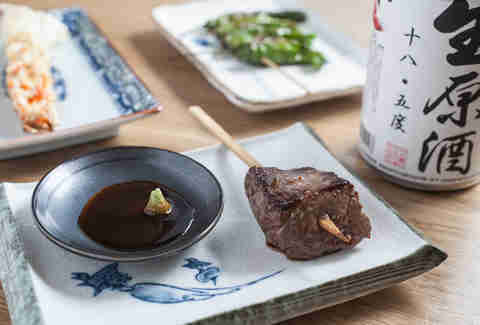 Pair your bites with a range of dry to rich sakes, 10 Japanese beers, or one of a few bottled cocktails. Start or end your night downstairs at the fire aftermath-themed charcoal bar, where a heftier list of craft cocktails includes Fleming Studied Abroad, tinged with peaty Laphroaig Scotch, lemon, ginger, and white oak whiskey. Duck into the alley behind sleek West Loop sushi spot sushiDokku and follow the neon pink arrow through a heavy door and down the stairs to quite possibly the coziest izakaya on this list. 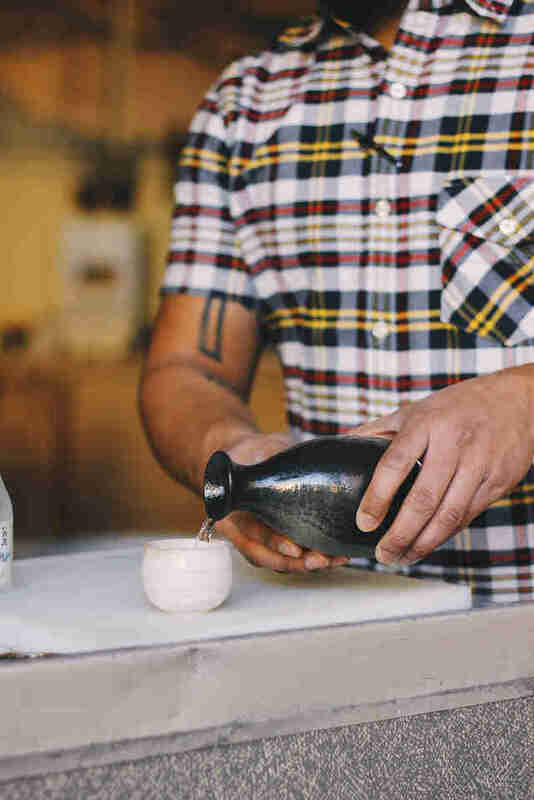 It’s also the only spot in the city where you can have sake on tap. Ice cold, lightly floral Bushido is perfect for washing down salty snacks like smoked salmon skin sticks, crackly seaweed chips, takoyaki, and beefy tsukune at the small square bar dimly lit by handcrafted red lanterns. Thursday through Saturday nights get a little rowdier, with rotating DJs spinning vinyl for well-dressed (and lubricated) West Loop night owls. Opened in the former Chizakaya space, this two-year-old brother ("Ani" means elder brother in Japanese) spot to Arami serves up a rich mix of Japanese fare, from sushi to noodles, rice bowls to robata items. 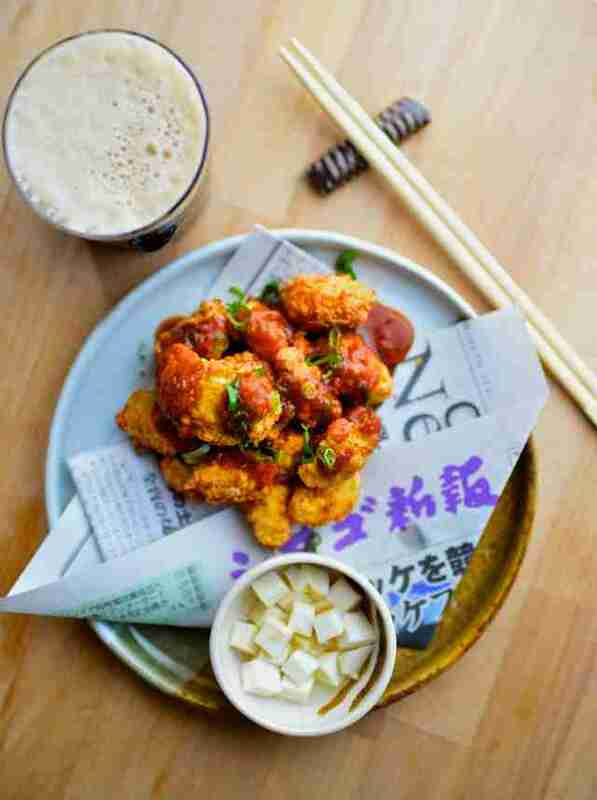 But every Monday night is dedicated to izakaya, with a rotating menu of East-meets-West dishes like fried oyster mushrooms with wasabi cream and karaage chicken, plus a roving sake cart that serves up a little sake education with table-side $4 pours. 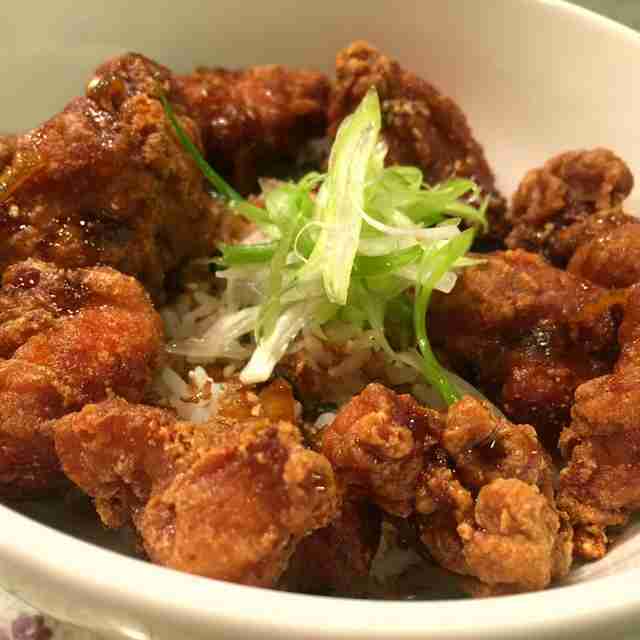 “Our weekly offerings are things that people can feel familiar with but still get Japanese flavors,” says owner Ty Fujimura. 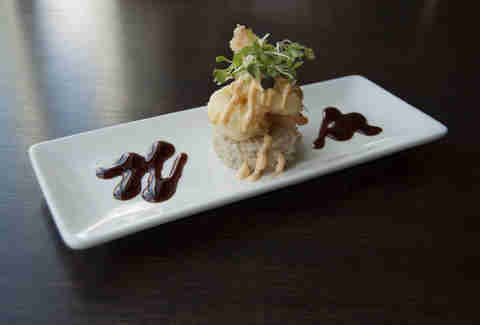 “Japanese cuisine is a much broader genre than just sushi. Or ramen for that matter.” Don’t worry sushi lovers, the regular menu is still available on Mondays. This former Chinatown spot was reborn in Lakeview in 2015, and serves up seriously good Japanese comfort food. 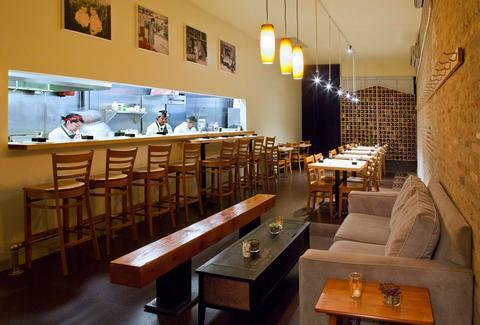 Don’t let the nine-part menu (organized by classic Japanese cooking styles) or somewhat starkly modern interior throw you -- the food here simple and richly comforting. Standout cold (kobachi) items include Wagyu carpaccio, with a drizzle of truffle oil and creamy tobiko, and marinated raw zuke salmon, zingy with rice vinegar. They’re also great at deep-frying (agemono) -- evident in kara age, crackly fried chicken hunks with rice and shaved bonito; ika geso, squid legs with satisfying crunch; and chef’s special filleted tempura-fried whole snapper (eyes and all) with ponzu dip. Wash it down with a selection of sakes, shochus or bright craft cocktails like the jalapeno- and Japanese pickle-infused agave roundhouse.